Even as a child, Isabelle van Keulen, born in the Netherlands, was fascinated by music. Born and raised in a family that highly prioritized the love of art – her father being a painter, her mother a music lover and her older sister playing the flute – naturally she learned to read music even before learning her ABC’s. 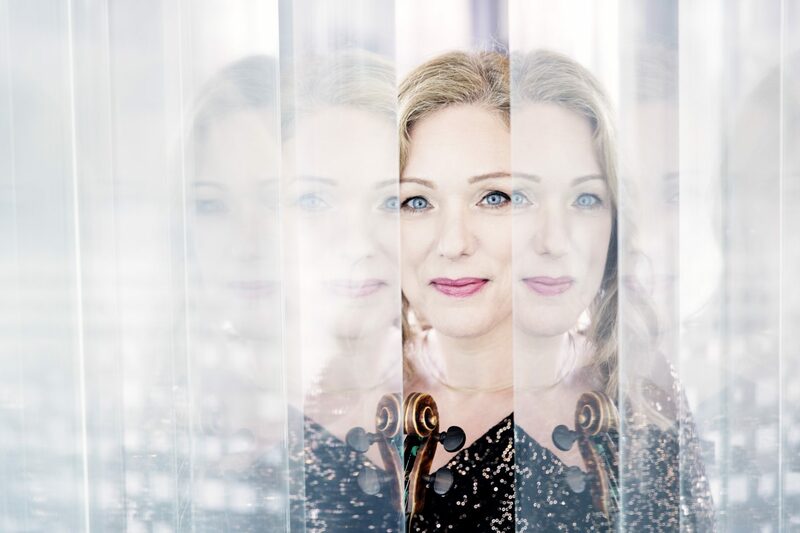 Over the years, besides her engagements as a soloist on the violin and viola together with renowned orchestras and conductors, chamber music and interpreting contemporary composers’ works have been central elements of Isabelle van Keulen’s creative work. Her versatility lies in the fact that she plays both instruments with the same energy, performing chamber music in any thinkable combination and play/directing chamber orchestra performances as well. 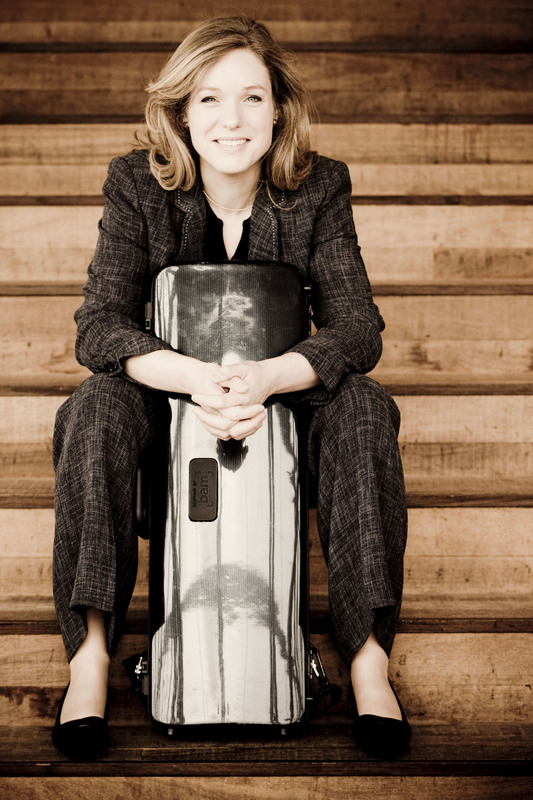 In her hometown Delft, from 1997 until 2006, Isabelle was founder and artistic director of the International Chamber Music Festival, which today still exists. She played an essential role in determining the profile of this festival, as well as making it widely known past the country’s borders. Since the 2017/2018 season Isabelle van Keulen is involved in a similar position as artist-in-residence and artistic director of the Deutsche Kammerakademie Neuss. She appeared as a soloist with orchestras such as the Royal Concertgebouw Orchestra, Berlin Philharmonic, NHK Tokyo, Netherlands Philharmonic Orchestra and conductors such as Riccardo Chailly and Valery Gergiev, sometimes combining violin and viola in one appearance, sometimes playing/directing. With chamber music partners like Dutch pianists Ronald Brautigam and Hannes Minnaar, mezzo-soprano Christianne Stotijn or clarinettist Sharon Kam, she always approaches the musical score with a conscious and honest approach to interpretation. Her highest priority is being faithful to the music and communicating with her audiences and musical partners, allowing her to perform in an inspirational, lively and enthusiastic manner. With great passion, Isabelle van Keulen devotes herself to performing works of the 20th and 21st C. Among these are compositions by Henri Dutilleux, John Adams, Sofia Gubaidulina, Lera Auerbach, and last but not least, the Violin Concerto by Erkki-Sven Tüür which is dedicated to Isabelle and which she recorded with the City of Birmingham Symphony Orchestra under the direction of Paavo Järvi. Soon after starting her study with pedagogue Theo de Bakker, six-year-old Isabelle already decided to become a violinist; after switching to study with Davina van Wely, in 1984 Isabelle van Keulen burst into the public spotlight by winning the “Eurovision Young Musician of the Year” competition. In Salzburg, where Isabelle was accepted into the class of Sandor Vegh, she acquired the necessary tools which positioned her to adequately express emotions and moods through music. Her love for the viola, which would soon become just as big a part of her life as the violin, further increased her spectrum of expressive possibilities. Captured by her love of the tango, in 2011 Isabelle founded the “Isabelle van Keulen Ensemble”, with whom she has since then been able to bring new life to Piazzolla’s music, staging attractive programs with many arrangements of their own. The ensemble has been a guest at renowned festivals and concert venues and recorded 3 CD’s/DVD (Challenge). Isabelle van Keulen has made numerous recordings in the past decades, her most recent one (Channel Classics) is the CD of the Walton Viola Concerto and Prokofievs 1st Violin Concerto, together with the NDR Radio Philharmonie, which received excellent reviews in both the Dutch and the international press. Some other successful recordings: Prokofiev complete works for violin and piano with Ronald Brautigam (Challenge) and Beethovens complete sonatas for violin and piano with Hannes Minnaar. Since 2012 Isabelle van Keulen has been assigned as a professor for violin, viola and chamber music at the Lucerne University of Applied Sciences and Arts. Isabelle van Keulen plays on a violin by Christian Bayon and on a viola from the atelier of Peter Erben.